Sometimes it happens with us that we delete a very important file that seems apparently quite unimportant file, but we need it later after some time in future. If it still exists in the Recycle Bin, it is quite easy to get it. You just need to right-click on the required file and select the option “Restore” that appears in its context menu. Usually it happens that the users keep their Recycle Bin empty and removes all of the deleted files from recycle bin permanently to enhance the storage space of their PC. In such a situation, it becomes nearly impossible to get back the file you have deleted permanently from your Recycle Bin, but still here are some third-party tools you can use to recover the deleted files in Windows including Windows 8.1. One of them is Recuva that works great. The most prominent feature of this tool is that, it works very well not only with Windows 7 and 8 but also with Windows 8.1. 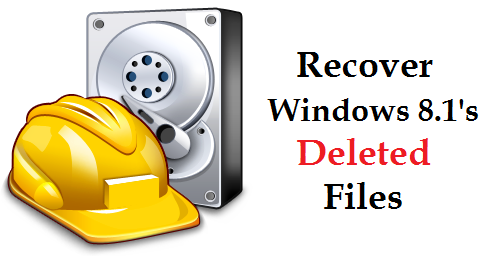 Here is how you can use this tool for recovering deleted files in Windows 8.1. Step 1: Click here to download this software. Once you have downloaded it, you need to install it on your system by double clicking on the it. Step 2: Once the installation is complete, Recuva Setup screen will appear before you. You just need to select the file type whether you want to recover the Pictures, Videos or any other type of documents. Once you select the file type, you will proceed further by clicking the option “Next” at the end of the page. Step 3: Now the tool will start scanning your system and all of the recently deleted files will be displayed on your screen. 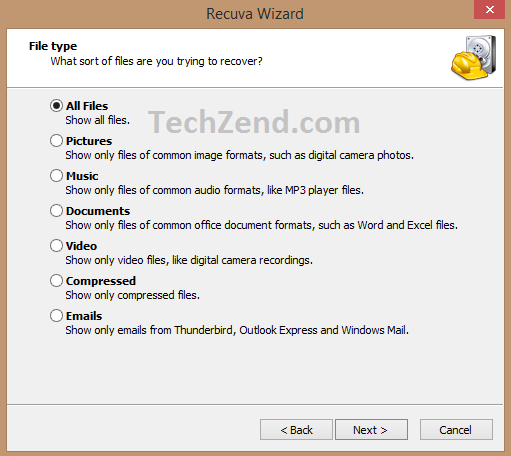 Step 4: Once you get your desired file you had deleted and want to recover, you just need to select this file and click the option “Recover” as it is pointed in the screenshot below. Now select a destination, where you want to save the recovered data. The tool will save it there and thus, your important files have been restored successfully. Note: If you select the same partition to save the recovered files, you may lose your files permanently. So, it is always recommended to save the recovered data to another partition.